If there’s a place that I’ll never get tired of going back to, then it’s Sagada. I just simply love the place, the cold weather, the kind community, the delectable food and the breathtaking surroundings. I must admit I’ve traveled to a lot of places with my family and friends but this was my first time to travel with fellow travel bloggers and I was really excited. The great thing about it too was that I wasn’t the one who came up with the itinerary since I was not the organizer of this trip. I traveled as a traveler. And I would like to give my greatest gratitude to my fellow PTB Bagets who organized, especially Robbie who took care most of the things. 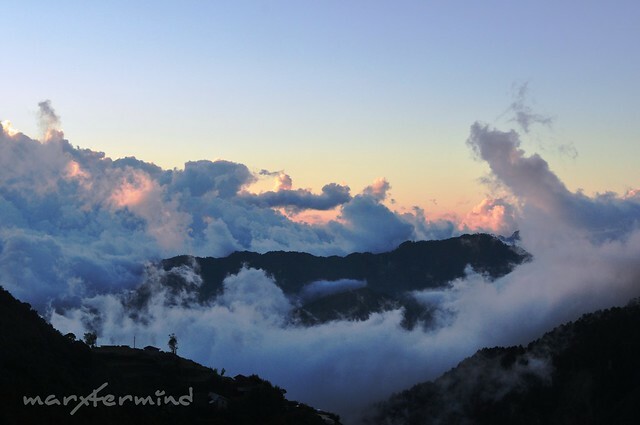 Sagada is located in Mountain Province. It can be reached by 12 hour bus ride. There are three routes to get to Sagada; (1) via Manila – Baguio – Sagada, (2) via Manila – Banaue – Sagada, or (3) via Manila – Bontoc – Sagada. 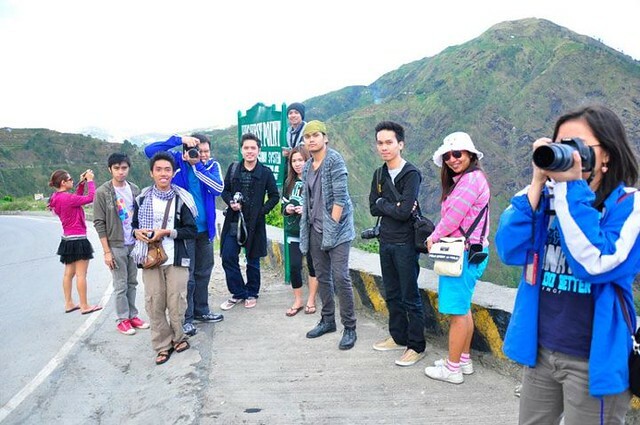 We took the Manila – Baguio – Sagada route. We left Manila at 3:00 AM via Victory Liner Bus and arrived in Baguio at around 10:00 AM. From there we hired a jeepney to get us to Dangwa Terminal for PHP 200.00 (P20.00 each) where the buses to Sagada is. However, there are no more available bus seats to Sagada so we looked for a van which can take us to Sagada. Luckily, we have Heiz of Journeying Pinay who negotiated with the van driver. The van rental to Sagada costs PHP 5,500 which can accommodate up to 14 passengers. But before we headed to Sagada, we took our late breakfast – early lunch first at Good Taste. At 12:00 PM, we left Baguio via van and headed to Sagada. It was another 6 hours on the road to get to our destination. Its a zigzag road to Sagada so if you have a motion sickness better take an anti-emetics medicine first. 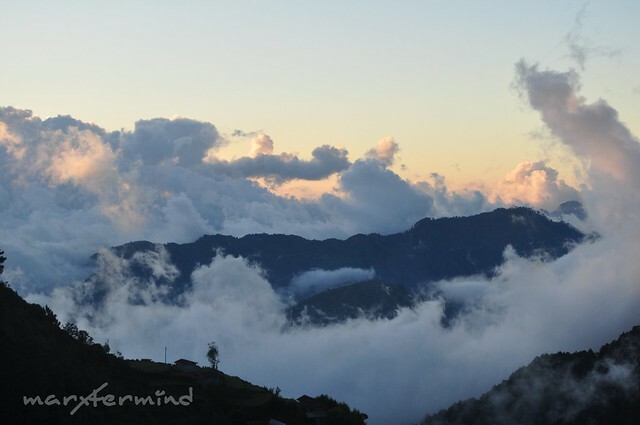 The view while on the road to Sagada is spectacular so we thought of doing a top-load, and so we did batch by batch. It was so cold and foggy. I felt like we’re in the mist. There are times that you can’t barely see anything but fog. The view from the top-load is jaw dropping. Everywhere is green and mountainous. Looking at the mountains made me feel relaxed and serene. After awhile, we made a stop over at the Highest Point in Philippine Highway system. My travel buddies Cai, Jay Ar, Ivan, Jerome, Byron, Darwin, Nikki, Robbie, Me, Heiz, Smarla. Photo by Josh Uy. So awesome! Our country is truly blessed with nature. After awhile, we went back to our van and continued our trip to Sagada. It wasn’t only the mountains that made me breathless during the journey but the clouds as well. I thought that I can only be closer to clouds by riding a plane but my journey to prove it wrong. And this is much better than the one I usually see during plane rides. Felt like heaven. I got dozed off and when I woke up I saw some familiar places and spots. The road was getting familiar to me and we’re getting closer to Sagada. We reached Sagada at around 6:00 PM. We checked in at George Guesthouse. We dropped our things and rest for awhile and got ourselves ready for dinner. It was a long ride to get to Sagada but it really paid off. The 12 hours ride from Manila to Sagada is worth it. The view from the road is really beautiful. 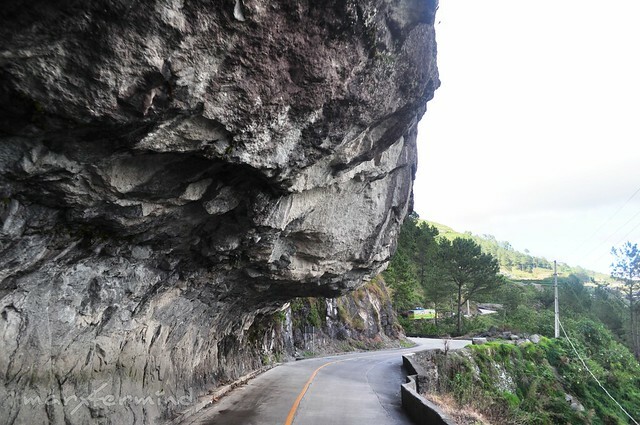 Nothing beats the road to Sagada. The journey itself is truly amazing. 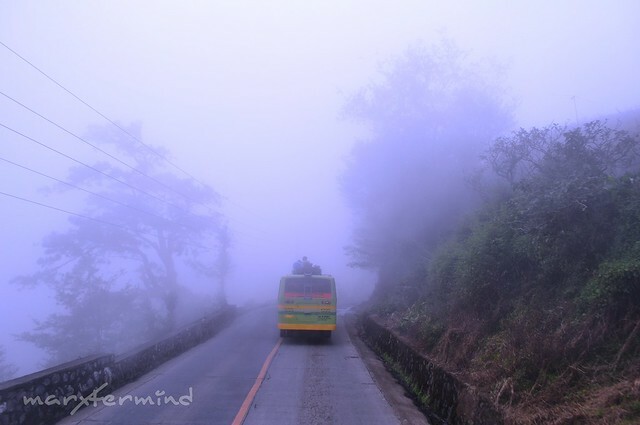 Manila – Baguio – Sagada: From Manila ride a bus to Baguio. Victory Liner bus leaves every hour, terminal in Pasay or Cubao. Travel time is 6 – 7 hours. Upon arriving in Baguio, go to Dangwa Terminal. 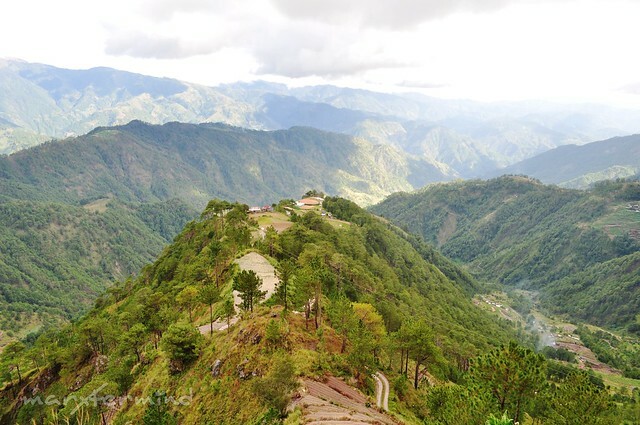 From there, ride a Lizardo Transit bus to Sagada. The first bus leaves at 6:30 AM and the last bus leaves at 1:00 PM. Travel time is 6 – 7 hours. 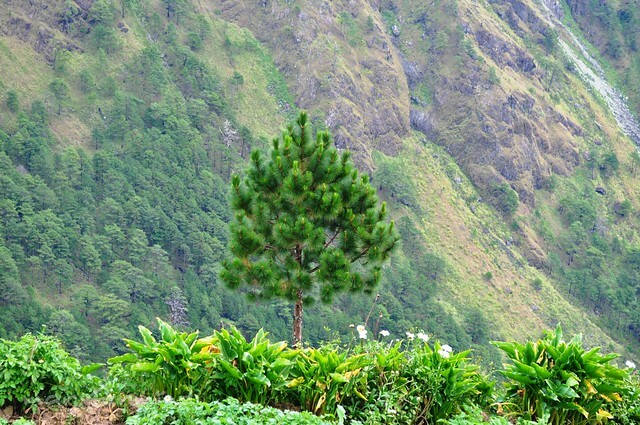 Manila – Banaue – Sagada: From Manila ride a bus to Banaue. Autobus bus leaves Manila at 10:00 PM everyday. The terminal is located at España corner Cataluna in Sampaloc. Travel time is 9 – 10 hours. From Banaue, catch Immanuel Bus Line to Bontoc and get to Bontoc Municipal Hall. Travel time is 2 hours. From Bontoc, ride a jeepney to Sagada. Travel time is 1 hour. 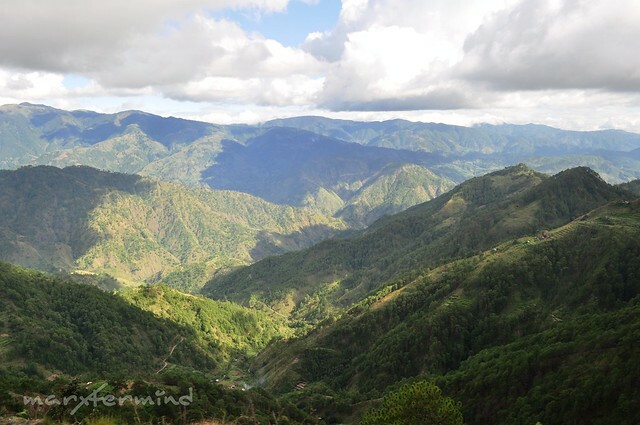 Manila – Bontoc – Sagada: From Manila ride a bus to Bontoc. Cable Tours bus leaves Manila at 8:00 PM. The terminal is located at E. Rodriguez Q.C near the Trinity College. Travel time is 12 hours. From Bontoc, ride a jeepney to Sagada. Travel time is 1 hour. Buses to Sagada get full sometimes so better check the schedule and be early at the terminal. Reserved your bus tickets if possible. Bring snacks and water while on the road. Loong trip! The last 2 pictures of the clouds on the mountain is the best in this share of yours = 5 stars for me! nice one bro. next time join the treks to the falls, esp pongas falls. good for you you were top-loading. awesome talaga to be "within" the clouds during travel. till next trip. Panalo ang lamig! sarap naman esp nowadays..more long weekends please.. Two thumbs up for the clouds nice shot..
ako naman i've never been to sagada.. ang saklap.. di pa naman siguro huli ang lahat..
@Malditang "Kura"cha, ako din… mag-invite ka pa! Thanks! Psst.. looking forward sa trip natin next year. heheh! Great shots Marx! You belong! Congrats! @Robbie, Cave connection ulit? Hehehe! @khantotantra, Yup sumama ako sa kanila. Hehehe! Maganda sa Sagada, babalik-balikan. sea of clouds and happiness! wowowowow. kasama ka pala ni robbie sa sagada trip. Same here! I will keep going back to Sagada for as much as I can! Kakaiba talaga yung charm niya. Next time mag-falls ka na! Sarap ulitin ng Pongas falls. Hehehe.